Get it wrong, and you could find that potentially loyal customers will just prefer to talk to your competitors. Industry commentators often mention that digital technologies have made customers more demanding than they ever used to be. The ability to access the internet via smartphones, for example, and the ease at which they can use them as well as PCs and tablet computers to easily and quickly find the best products, insurance policies, services, offers and prices has raised their expectations. This includes an immediacy of interaction, search results and of a response whenever customers choose to make enquiries at any time of the day at their convenience. “Digital technology in the insurtech age is an ever more useful tool, offering swift online handling of claims and settlements and, for insurers who embrace it, a closer and mutually beneficial means of communicating with their insureds.” Those technologies include live chat and chatbots. Both can play a role, including email and mobile or fixed line telephony as part of any omnichannel strategy. As chatbots use artificial intelligence to help customers to resolve their queries when no chat agent is available, it’s interesting to note that Cap Gemini Research Institute’s report, ‘The Secret to Winning Customers’ Hearts With Artificial Intelligence’, finds that 55 per cent of consumers prefer to have interactions enabled by a mix of AI and humans. It’s therefore wise to consider the communication channels that customers prefer when you’re looking to address how to manage customer expectations. In a number of industries – including in the insurance market - many organisations are embracing digital technology. Gauldie therefore cites Carl Carter, Managing Director of Voyager Insurance, who says: “Over the last few years, there have been some incredible initiatives among travel insurers and their supporting third-party administrators to improve the customer experience and embrace the growth of app, mobile, and online journeys in the education, sales and servicing of policyholders and claimants alike.” However, one could also argue that companies need to also allow their customers to educate them about their expectations, and about how they can be met. For example, if a company feels that customers have becoming overly demanding, it’s not feasible nor wise to take a patronising nor condescending approach. The key is to empathise with each and every customer by understanding how to talk with them, and most importantly to speak their language in a way that leaves them feeling satisfied and valued. This reasoning is true when digital technologies just as live chat is used to communicate with them via a website, or when it’s possible for face-to-face interactions take place with customers. The challenge with live chat, unless a video chat occurs, is to listen carefully to find the right cues to address customers’ expectations. Get it wrong, and you could find that potentially loyal customers will just prefer to talk to your competitors. Take heed because the internet for one has opened up the marketplace for customers. They are able to source products and services from all over the world from the comfort of their own homes and offices. This has provided the expectation of ‘whatever I need I can find’. The second expectation from this is that the customer is not restricted by one provider; they will be able to procure the goods from the supplier that gives them the best deal or the better customer service. Expectations are getting higher and tougher, as customers demand more now than ever before. Technology has enabled faster delivery services – including same day delivery and click and collect. Therefore, customers not only expect to find what they want, they also want it instantly as possible. That’s why there is a rise in the popularity of live chat and social media, individuals can have questions answered quickly in real time, without having to wait in lengthy queues, or days for a response. 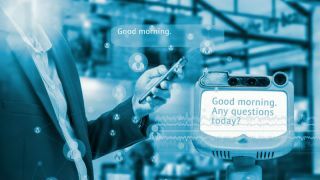 Much depends on what the customer expectation is: if customers are to be able to contact the organisation easily, and to receive a quick response, then live chat and chatbots can meet these expectations. However, if customers need help to complete an order or a form, again the quick nature of live chat and chatbots can help to meet their needs. Insurance isn’t the only sector that having to address changing customer expectations with the growth of digital technology. Retail is one the most demanding industries affected by higher customer expectations. They have to also keep up with seasonal demand and ensure they can keep customers satisfied during the busy periods of the year - such as Christmas. However, I wouldn’t say customer expectations are “way too high”, but they are certainly growing as we move further into the digital age, and so businesses need to adapt to them in order to survive. To manage them it’s important to remain professional. So, for example, live chat operators need to inform customers in the politest and most empathic way possible that what they are asking for is either unreasonable or not possible. They then need to have the skills to explain what they can do with the information, services and resources available to them. It’s therefore very important to create a balance between customer expectations and customer satisfaction. Meeting customers’ expectations will be closely linked to how satisfied they will be. A customer with lower expectations will be more satisfied when a company goes above and beyond, but if an individual is expecting a higher level of service that may not be available, then it is harder to achieve higher satisfaction rates. Yet if someone wants a delivery within the next couple of days, then that person should be given the available options or be offered a premium service (either a full price or discounted). Giving customers a choice, and the right information to make an appropriate decision, means that the company has provided what they needed. It can then leave a customer feeling empowered and satisfied – that is unless a product or service is mis-sold. Beyond that in some industries, such as in financial services, there is a need to ensure that regulatory compliance is upheld. Go above and beyond wherever they can, using the functionality available to them to help ‘wow’ the consumer. If there is a lack of communication, or a delay in business processes being complete, it can affect the delivery of the live chat operator’s customer service. Subsequently, the customer may create a negative impression in their mind. In some cases the customer may feel that the chat operator is incompetent, of if a chatbot isn’t able to offer the information the customer requires quickly, it could make that person feel that they should either be speaking to a human being on the phone, or at worst to a competitor with people and systems that can more readily address their queries, wants, desires and expectations. So, remember, it’s all about people first before technology and processes. Meeting customer expectations is also about creating that balance to achieve customer loyalty and satisfaction.